The Philharmonic ends their season with farewells. 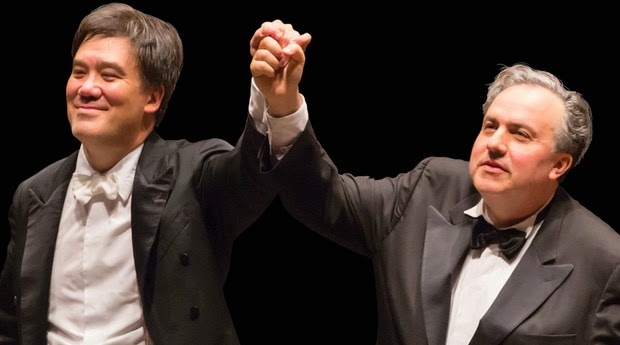 New York Philharmonic music director Alan Gilbert (left) with pianist Yefim Bronfman. The New York Philharmonic's concerts last week were more than just the climax of the 2013-14 season--they marked a major turning point in the history of the United States' oldest orchestra. They were the departure of two key Philharmonic artists: principal trumpet Philip Smith and concertmaster Glenn Dicterow, whose 34-year tenure in that position is the longest in the Philharmonic's history. 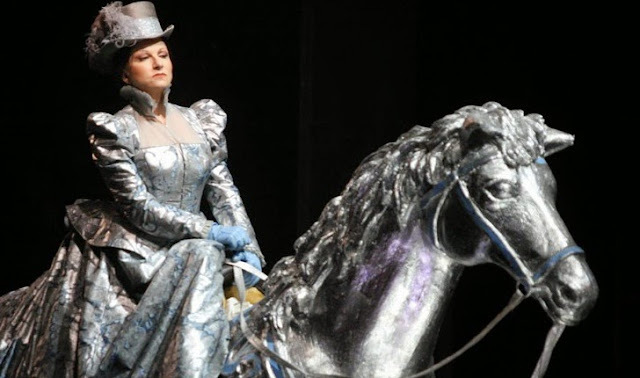 How the Met's Klinghoffer cancellation could wreck more than an opera. 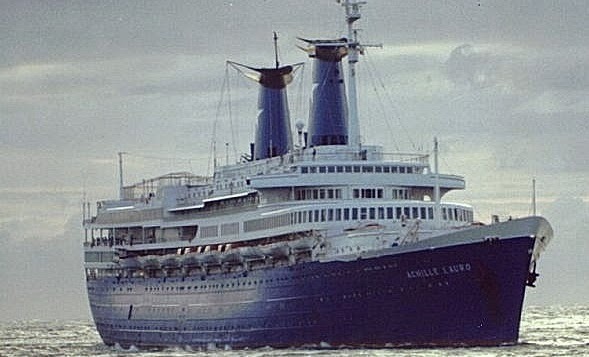 The Achille Lauro was hijacked by terrorists in 1985. The Metropolitan Opera's abrupt decision to cancel the Live in HD broadcast and radio broadcast of John Adams' The Death of Klinghoffer has already damaged the company's artistic credibility. The long-term costs could be even more serious. Some Words on Gay Pride. OK, they're not really there but they look cool. 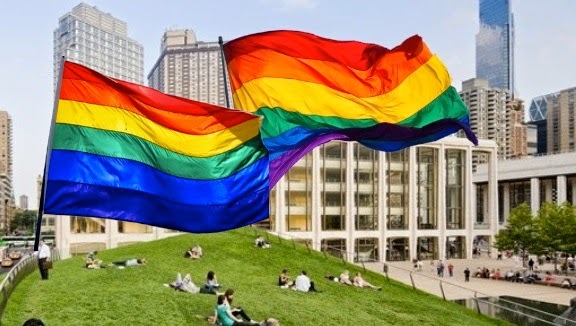 Rainbow flags over Lincoln Center. For the last week, the blog has been fairly quiet (except for previews and roundups and suchlike) but that's what happens in late June--the season is basically over and we're all taking a deep breath before jumping into the summer festival season both here in New York and in its environs. Today is also the 45th anniversary of Heritage of Pride, the parade that marches down Fifth Avenue, turns right at the Washington Square Arch and moves down Washington Street, Waverly and Christopher past the Stonewall Inn, site of the 1969 police raid and riot that essentially sparked the gay pride movement in these United States. Looking back at the best performances of the spring concert season. Untitled # 26 by Richard Diebenkorn. 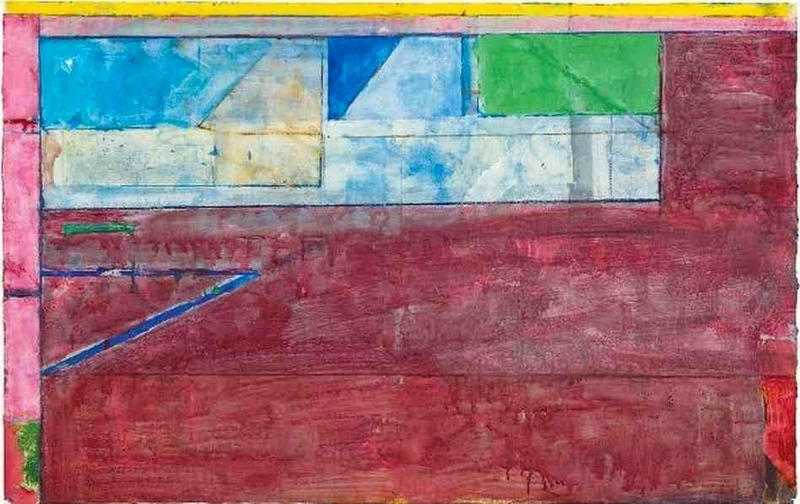 Painting © 1984 the estate of Richard Diebenkorn. As the busy concert season winds down (and I get away for some much needed days of rest and recreation) it's time to look back on the very best of the spring 2014 concert season. Presenting the five best concert hall performances followed by the best chamber music, piano and choral concerts I attended and reviewed in the last six months. I'm entertaining suggestions as to what to call these awards. Until then they remain Untitled...and in chronological order. The founders of the New York International Piano Competition. Melvin Stecher and Norman Horowitz (left). Photo from the Stecher Horowitz Foundation. Melvin Stecher and Norman Horowitz know a good pianist when they hear one. 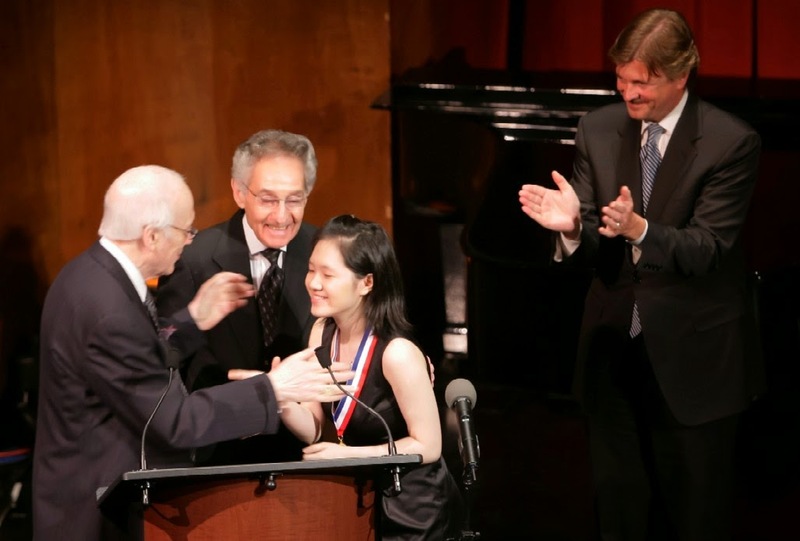 New York-based and partners in pianism for over six decades, (they met at the age of 17) they are the creators of the New York International Piano Competition, which starts June 23 at the Manhattan School of Music. In a telephone interview with Superconductor these two pianists (now 81) discussed their piano competition with energy and eagerness, occasionally interlocuting for each other with the ease of long musical partnership. Three big festivals make New York more bearable in the summer. 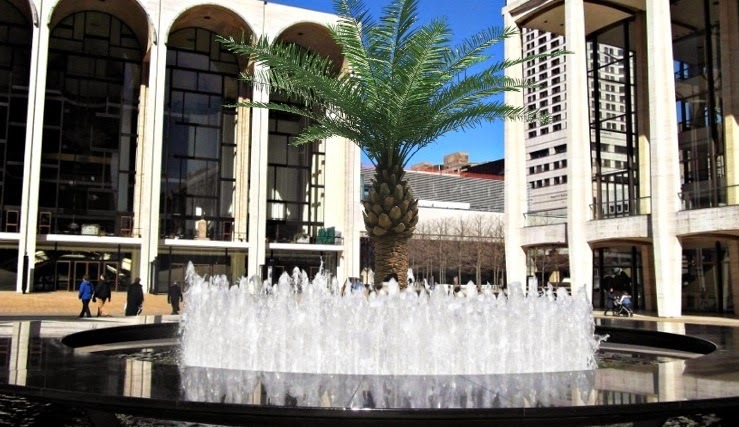 Lincoln Center becomes a cultural oasis in the summer months. Unfortunately that's not a real palm tree. Photo alteration by the author. The Met cancels its broadcast of The Death of Klinghoffer. 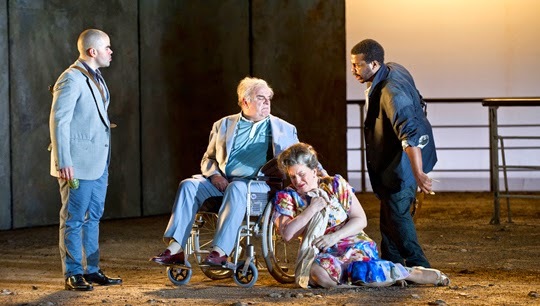 The Death of Klinghoffer which comes to the Metropolitan Opera in 2012. Photo by Richard Hubert Smith © 2012 English National Opera. The Metropolitan Opera announced today that the company's 2014-15 Live in HD broadcast schedule will not include John Adams' controversial opera The Death of Klinghoffer. Your guide to getting out of New York and hearing great music. Soprano Ellie Dehn is Euryanthe at Bard SummerScape. Photo by Todd Norwood © 2014 Bard Festival. As summer marches in, the festival season is upon us. Here's the Superconductor guide to getting out of New York for spectacular scenery, gorgeous music, and opera performances that you'll read about here in the next two months. 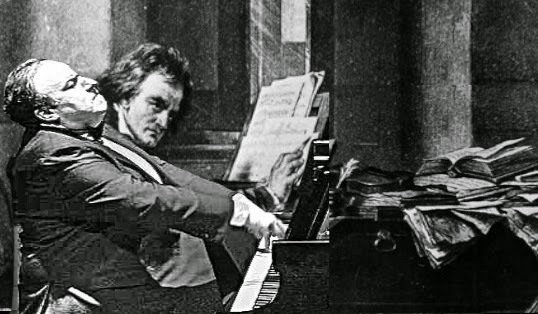 Yefim Bronfman plays two of The Beethoven Concertos. 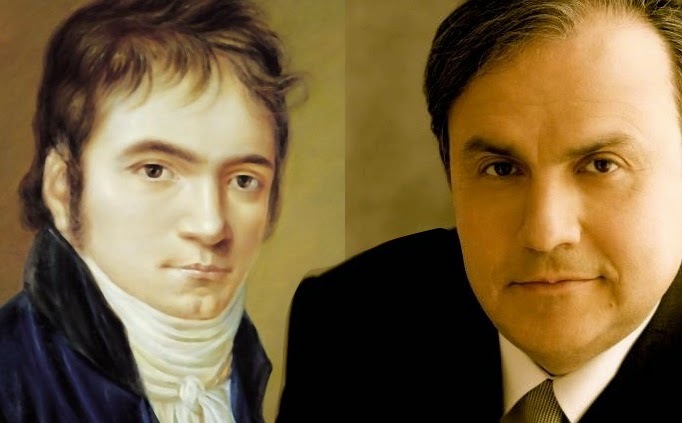 Ludwig van Beethoven (left) and Yefim Bronfman. Beethoven portrait 1803 by Christian Hornemann. Mr. Bronfman photo by Dario Acosta. For the past two seasons, the New York Philharmonic has ended its long season with a festival, multiple weeks of concerts devoted to a single artistic focus. This year, that focus is the five piano concertos of Ludwig van Beethoven, played by this year's artist-in-residence Yefim Bronfman and led by music director Alan Gilbert. Aaron Copland's American opera at Chelsea Opera. 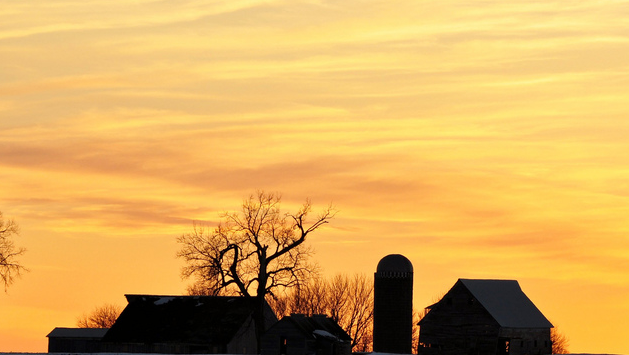 Aaron Copland's The Tender Land brings the American heartland to Chelsea. Chelsea Opera, the small company that gives its performances at St. Peter's Churg on W. 20th St. in Manhattan, concludes its 2014 spring season with Aaron Copland's The Tender Land. This is Copland's only opera, composed in 1954 and premiered at the New York City Opera in 1955. There are just two performances: on June 13 and June 14. A Letter to the Composer on his 150th Birthday. 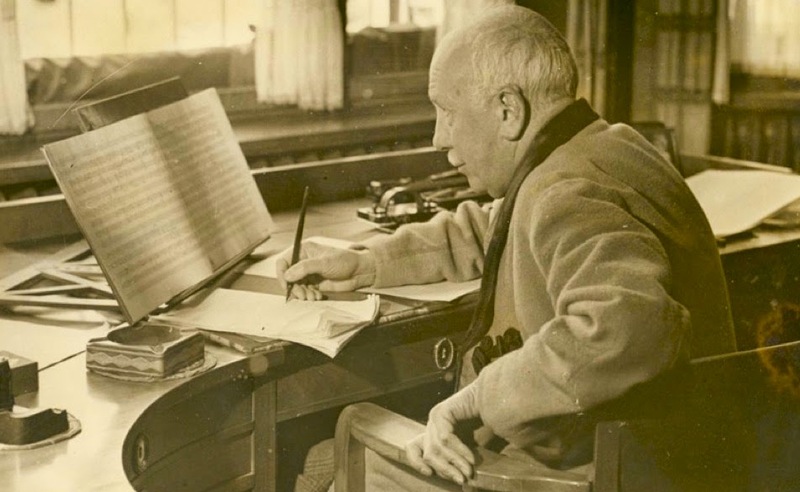 The composer Richard Strauss at his desk in between letters from an American blogger. Photo © 2014 Richard-Strauss Institut, Garmisch-Partenkirchen. I know we don't know each other and I am sure you are getting a lot of birthday greetings today. I wanted to take this occasion to wish you the very happiest of 150th birthdays and to write a little about what your music has meant to me in the past 25 years of my life. I'm an American music critic living and working in New York City, and my music blog Superconductor is frequently devoted to writing about your work. Yefim Bronfman and the New York Philharmonic close out the season. The pianist Yefim Bronfman with an unidentified composer providing inspiration. Photo sourced from yefimbronfman.com, collage and image alteration by the author. In the wake of the New York Philharmonic's hugely successful 11-day NY PHIL BIENNIAL, New York City's oldest orchestra is ready to close out the 2013-14 season with one more festival. For three weeks, the orchestra will celebrate the music of Beethoven with a complete cycle of five Beethoven piano concertos, all played by artist-in-residence Yefim Bronfman and conducted by music director Alan Gilbert. The first-ever NY PHIL BIENNIAL ends. NY PHIL BIENNIAL on Saturday night. Inset photo by Chris Lee. 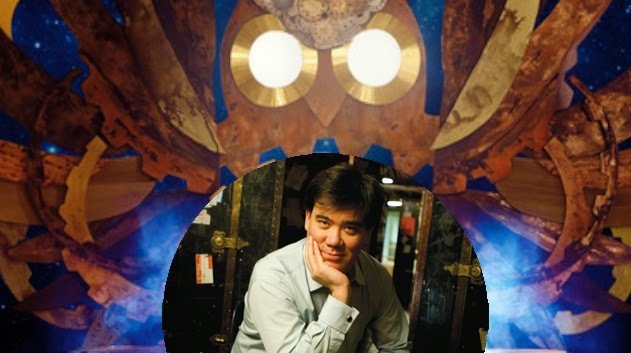 Owl image © 2014 The New York Philharmonic. The first ever NY PHIL BIENNAL ended Saturday night with the last of three consecutive concerts by the New York Philharmonic at Avery Fisher Hall. Saturday's concert was led by music director Alan Gilbert, who took the stage with microphone in hand to announce the end of the festival and to thank his orchestra musicians for learning all these new pieces and playing them at a high level. 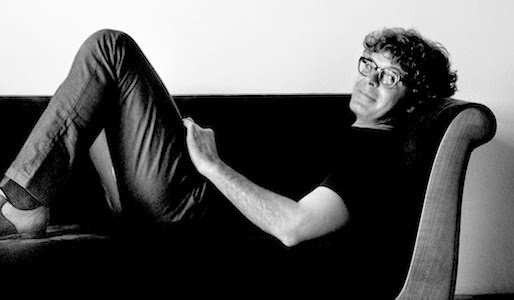 We sit down with the composer to discuss the NY PHIL BIENNIAL. 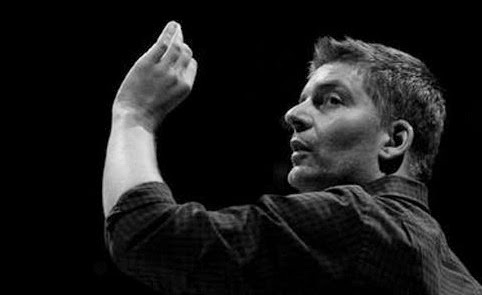 The Austrian composer-conductor Matthias Pintscher is one of the most important voices in the contemporary music scene. And thanks to his close association with the New York Philharmonic and his working relationship with music director Alan Gilbert, he has been a driving force behind the NY PHIL BIENNIAL, the 11-day new music event that has swept through Manhattan this month in a tidal wave of sonic innovation. At SubCulture, six young composers make CONTACT! 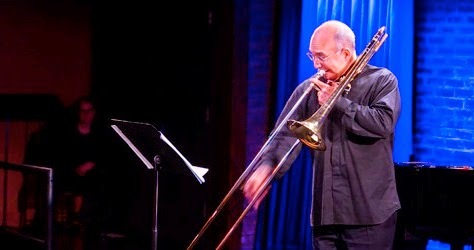 Slide on this: trombonist Joseph Alessi makes CONTACT! at SubCulture. The NEW YORK PHIL BIENNIAL is in its second week. On Tuesday night, six members of the Philharmonic gathered at SubCulture for the second CONTACT! program of the festival, featuring works commissioned for solo performers by a minor galaxy of talented young composers. The concert, hosted by SubCulture co-founder Eric Kaplan showed the brilliance and diversity of each composer, and the talents of featured Philharmonic players in these very different compositions. The Budapest Festival Orchestra plays Dvořák. 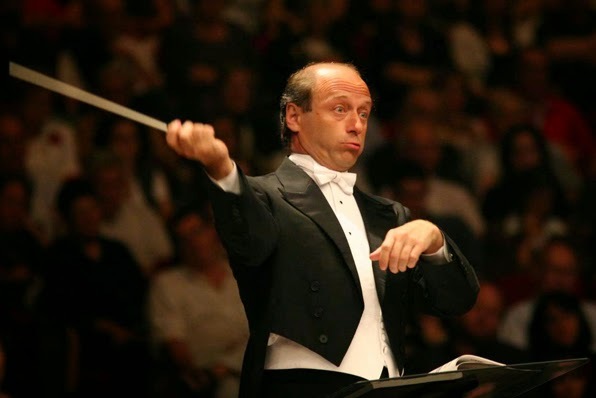 Iván Fischer. Photo © 2014 by Dan Porges. When the Budapest Festival Orchestra arrived in at Newark Airport, they received an unwelcome surprise. The orchestra's violinists had their bows (which were shipped separately to J.F.K.) seized by U.S. Customs at the Kennedy Airport due to suspicion that these vintage implements might contain ivory. On Monday night, with substitute bows (loaned by generous local string players) in hand, this Hungarian orchestra presented the second of two concerts focusing entirely on the music of Antonín Dvořák. The Orchestra of St. Luke's explores the modern British composers. takes a backstage break. Photo by Felix Broede from hs website. The British composer George Benjamin has emerged as an important voice in the 21st century, with his opera Written on Skin and instrumental works gaining in popularity and performance. On Sunday afternoon, conductor Pablo Heras-Casado and the Orchestra of St. Luke's offered its second program of the current NY PHIL BIENNIAL, exploring works by Mr, Benjamin, this year's Musical America composer of the year, and other composers who are his influences and followers in the current flowering of contemporary British music. The Orchestra of St. Luke's plays Pierre Boulez. 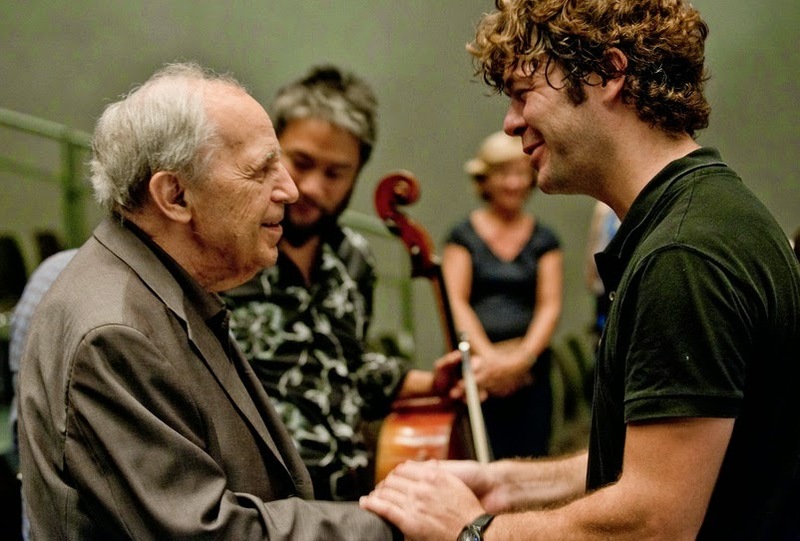 Pierre Boulez and his student the conductor Pablo Heras-Casado. Photo by Priska Ketterer © 2012 The Lucerne Festival. From his heaven-storming early piano works to his current place as a grand statesman of modern music, there is no overstating the importance of composer and conductor Pierre Boulez. On Saturday afternoon at the Rose Theater in the Time Warner Center, the Orchestra of St. Luke's unveiled their first concert of the NY PHIL BIENNIAL: Circles of Influence: Pierre Boulez. This concert celebrated recent works (including four U.S. premieres) and examined the Boulezian influence on contemporary European composers. The American Symphony Orchestra offers Forged in Fire. 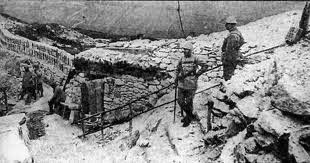 The trenches of France in World War I. The First World War (known as the "Great War" in the years between its ending and World War II) was one of the key events of the 20th century. Starting on June 28, 1914, this five-year conflagration destroyed much of France, severely damaged Germany and cost the lives of an entire generation of young men, slaughtered in the battlefield trenches by the mechanized weaponry of the early 20th century. However, observance of this tragic event has been largely muted, even as the centennial of the war approaches this year.